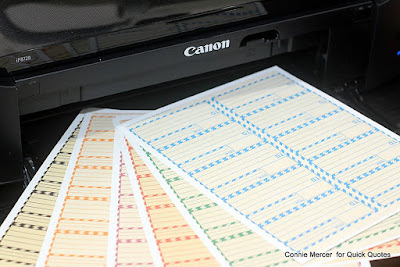 Blog Quick Quotes: Printables with Connie! 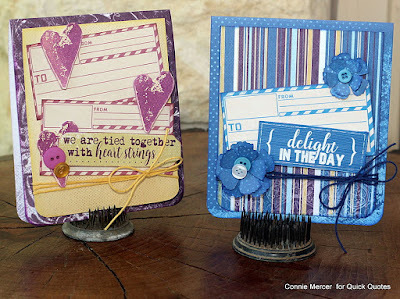 Hi, Connie here with a couple of cards I created using the Mulberry Paper Pack by Quick Quotes and some printable shipping labels I printed from my Canon iP8720. Canon so graciously provided printers to the Quick Quotes team for us to get creative with so, not to disappoint, lets get creative! 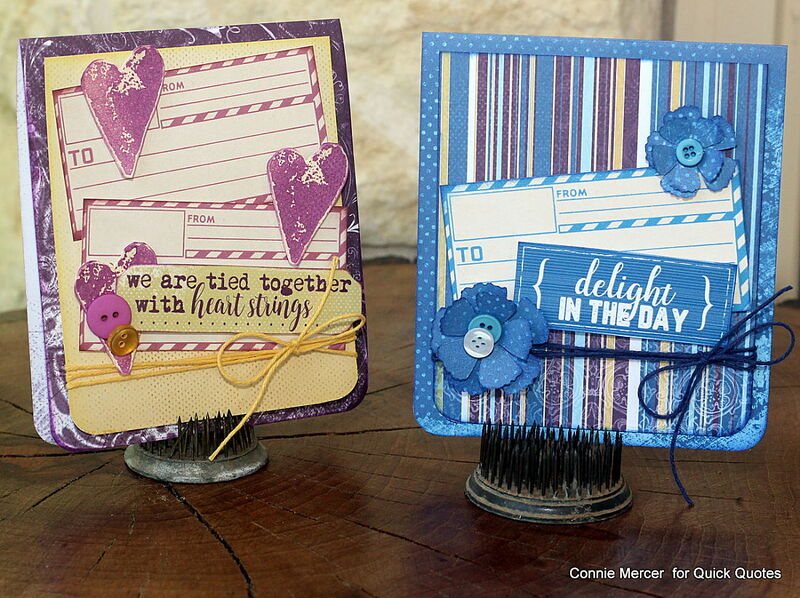 I really love how the ink on the shipping labels match the PowderPuff Chalk Inks on these two cards. Simply thrilled!!! Canon makes a great printer. Not only were these two colors printed out on the Canon iP8720, these were too. Every month the Quick Quotes team will show you ways of using a different Canon printer. 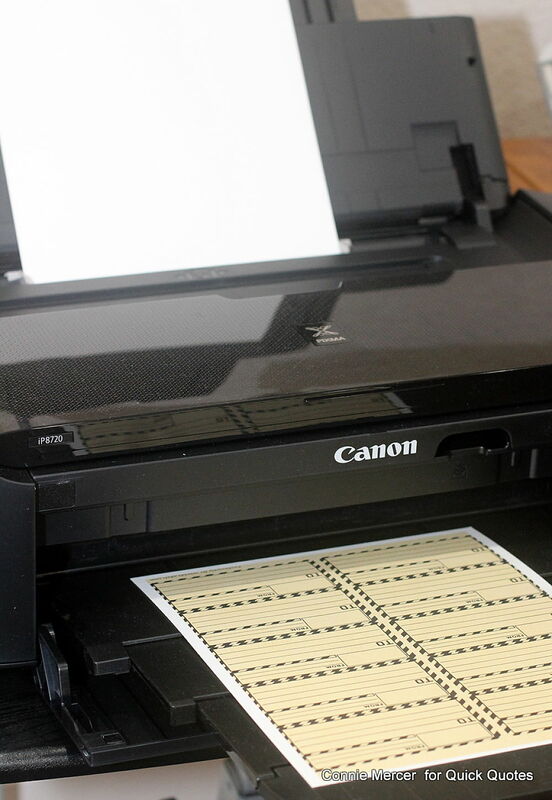 The iP8720 by Canon will print photos but is also a crafting printer. I hope to show you ways to get creative with this Canon printer. 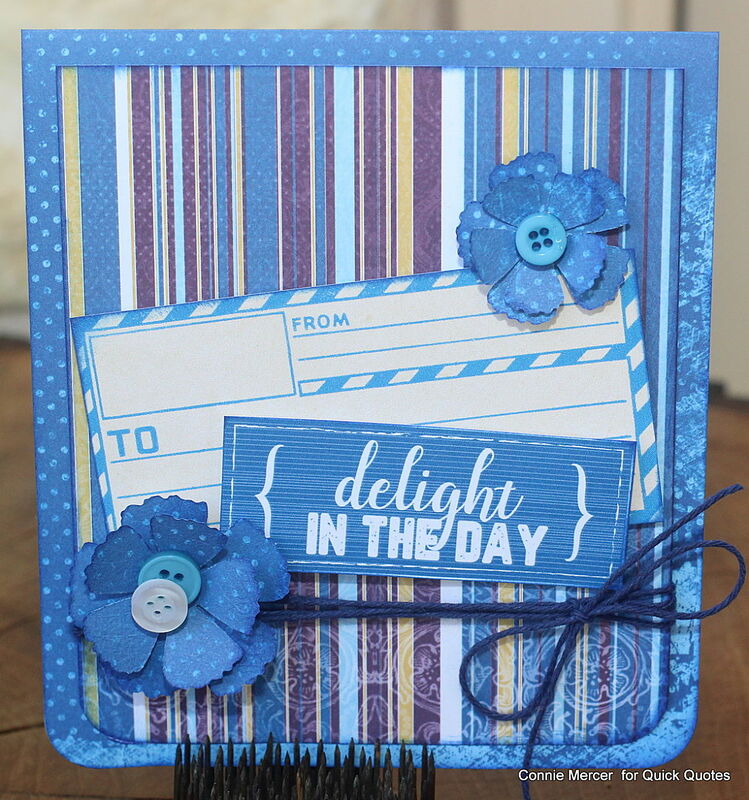 The labels were cut apart and used in the design of the cards. The papers and inks worked great together. I love the Mulberry paper. Everything about the cards are creative. I look forward to seeing even more from the Cannon Printer.